The titles within a company can be confusing. Especially since many of the basic operations get pompous names. How can you tell who are the leading positions are in this context? It all depends on the internal organization and on what management considers to be its needs and what it is willing to pay for. So, while you may know that the CEO is the highest position in a company, what does that make the COO position? 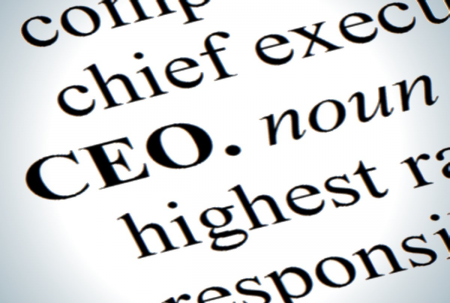 CEO stands for Chief Executive Officer and it is the highest position in any company. This person literally leads and manages the entire organization, sets the goals, the mission, and targets, and appoints the people in charge with every task. Above the CEO there is the president of the company and the board of directors. These people usually give directives for the CEO to carry out. In large companies, the CEO and the president are two different people. In smaller companies, the president is also the CEO. Once the company is organized and all the right people are appointed in their positions, the role of CEO becomes a ceremonial one. Further interference is required if things are not functioning well and changes need to be made in the direction or structure of the organization. COO stands for Chief Operating Officer and is a position you will only find in very large companies. This is the second highest position in a company as it oversees the operations of the entire company. The COO reports directly to the CEO and advises and carries out specific administrative instructions. Their work only starts once the plans and strategies made by the CEO are set in place. Among the more specific tasks of the COO are hiring people and assigning work. Communicating with people and making sure everybody understands their assignments is another important aspect of the job of COO, and this is something mainly done in large companies that can afford to hire a person specifically for this role. So what is the difference between CEO and COO? The CEO is the highest position in a company, while the COO is the second highest. However, not all companies have a COO, especially if they are small. Most companies have a CEO, though. Therefore, while the CEO is in charge of setting the policies, mission, and goals of the company, setting a growth plan in place, and appointing people to key positions within the company, the COO takes care of most of the human resources management tasks and makes sure that everybody does their job right. This translates into the CEO deciding on the operations and the COO supervising their development. The CEO answers to the president of the company and to the board of directors. The COO reports to the CEO and advises him/her on issues regarding the structure of the company and operations.